Cooking at home more consistently is the best way to improve your health. You’ll simply have more control over your food. But, eating out at your favorite restaurant doesn’t have to spell dietary disaster. You can leave your next restaurant experience both satisfied and healthy. Eating out is taking a toll on our health. It’s well established that diets high in sodium are responsible for more deaths than any cause other than tobacco or alcohol. According to the Center For Science in the Public Interest, cutting sodium in half would save as many as 100,000 lives annually. Taking a more defensive approach to eating out in restaurants would certainly be a strong first step to hitting this goal. 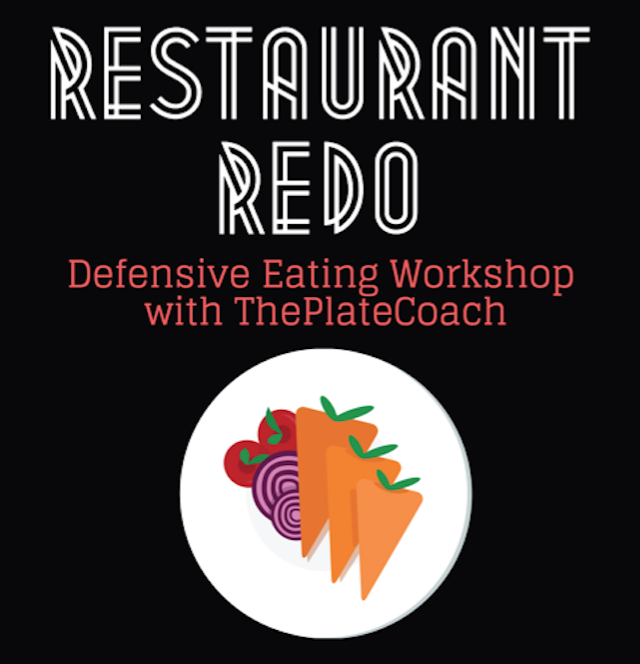 If you eat out more than 3 times a week, the upcoming Restaurant Redo workshop is designed for you. From high end restaurants to grab & go spots, this interactive discussion will prepare you to gain more control over your food choices and protect your health. Join me in January for Restaurant Redo if you’re in NYC! For details and tickets, click here.